I got nothing. Nothing interesting, anyway – I bound off Charlotte yesterday but haven’t blocked her yet; I’m half a sleeve away from a new sweater (although I still have to figure out what to do with the neckline). Trekking sock hasn’t seen much time. I knit three titbits. A blurry shot of the merino I’m working on, the colour of pea soup. It’s nice to return to the straight up, one colour (or at least one roving) wool after the neapolitan yarn and the high-tech plant fibres. I have been playing with the soy silk a bit more, though – I’ve been handcarding some merino and soy silk together, roughly 50/50. Here’s a bunch spun up. I think it’s time to start a new project. I want to do a sweater-jacket type thing, using Elann Highland Chunky, but I can’t find a pattern I like, or even just an example of one. Will have to think about it some more. I love that green! Also, I’ve been looking for a yarn like SWTC’s Karaoke to dye (50% wool/50% soy silk) and it looks like you just created it! Will you be dyeing it or leaving it that lovely ivory? 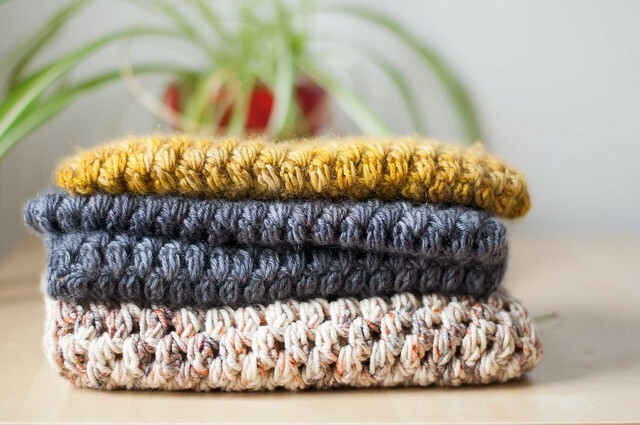 Your blog is one of my favorite knitting blogs . Love so many of the sweaters you have knitted and everything else in your galleries. It motivates me to look through your galleries. I have just began knitting a design I sketched out for a Cashmere Tank Top and I have a pretty good idea for the straps but still kinda undecided about that part. I will be adding your blog link to my site as soon as I can. Take care and I look so forward to seeing more of your wonderful sweaters. The green wool is beautiful. Your new Charlotte’s Web is lovely!